EXCLUSIVE: Interview with TEN Chief Programming Officer, Beverley McGarvey. MasterChef: Nigella, Heston, Marco weeks. When you’ve just enjoyed your biggest summer since 2004-05 you have reason to be optimistic about the year ahead. The Big Bash League has helped position TEN to a competitive position as the 2016 ratings year gets underway. But the real work in 2015 was in taking risks with 4 new shows -all of which paid off for Chief Programming Officer, Beverley McGarvey. The first of those, I’m A Celebrity Get Me Out of Here, is back with money-can’t-buy chatter over just who was headed into the jungle. That has flowed through to some early ratings results this week. “We were very happy how it went last year and we learned a lot about how to improve the pace of the show, how to mix up the casting. We’re thrilled not only with the level of celebrity we have but also the diversity of age, personality and background. So we think it will have a lot of texture,” she says. “Also we’ve knocked the challenges up this year, because we learned last year Australians are brave and pretty much up for anything. So we have really upped the ante with challenges that are more spectacular and noisier. Free-wheeling companion show Get Me Out of Here Now with Joel Creasey and Heather Maltman is a destination for die-hard fans to continue their fandom. TV favourite The X Files returned this week after a 14 year absence -but the network has copped some criticism for not fast-tracking it same day. Instead it joined Celebrity and Modern Family to help create an event Sunday. “We would have had to launch it on Monday night which is Australia Day eve and everybody is drunk,” she suggests. “Then on Tuesday it’s Australia Day. Then you’re up against the Tennis & Cricket on Wednesday, Thursday, Friday, it’s out of survey, the back of the week, it doesn’t do your show a service. I know there are a certain amount of people who won’t wait 6 days, but it’s free, 6 days isn’t the end of the world. It’s still a holiday week. “To do it justice we felt we needed to give it a great lead-in, a good timeslot, and the best shot it has at success is on a Sunday with a good lead-in. It’s only 6 days –some shows you have to wait 6 months. US titles NCIS, NCIS: LA, Madam Secretary, The Good Wife, CSI Cyber, Hawaii Five-0 and Law and Order: SVU are also part of Q1. When Celebrity ends its 6 week run there will be new local titles including All Star Family Feud with some teams of well-known faces and others where celebrities appear with family members. Chrissie Swan also joins Anh Do for reunion show Long Lost Family. “Chrissie is warm and delightful and Anh Do is a revelation. He’s interesting and funny. It’s a reunion show so Chrissy follows one side of the story and Anh follows the other,” she continues. Will the show differ from Seven’s former series Find My Family? “They targeted their show a bit older and it had a voice-over, not hosts. Adding hosts adds texture, personality and pace, and we are targeting slightly younger,” she explains. “We wanted someone who sounded authentic and could talk about being separated from your family and have some empathy. Given Anh’s background he is someone who can speak meaningfully in that area. Territory Cops, now commissioned by TEN with new episodes, plus Bondi Rescue, The Living Room, Family Feud are screening in Q1. 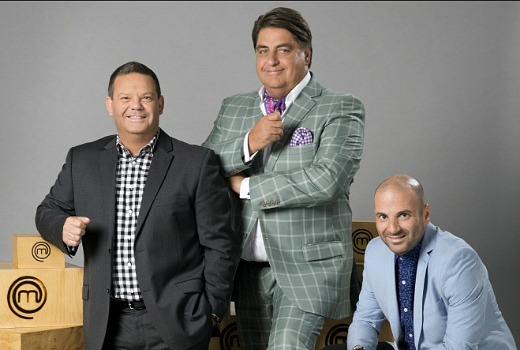 Q2 will see S8 of MasterChef Australia with a very big network coup – new guest judge, Nigella Lawson. “She’s brilliant talent and incredibly well-loved. She brings something different to the show. Marco and Heston we love but it’s Nigella has such a different style,” says McGarvey. Best cooks ever? Is it realistic to keep raising the bar? 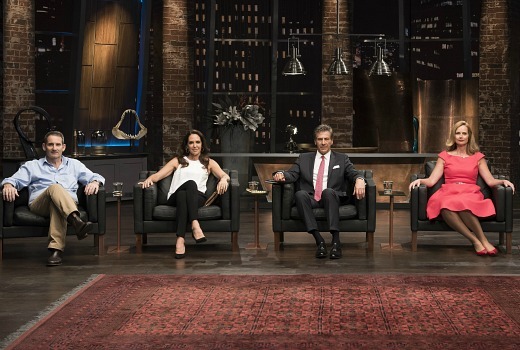 Also returning is Shark Tank, with newest Shark Dr. Glen Richards, founder of pet care company Greencross, replacing John McGrath. This year it will include “Where are they Now?” segments that follow-up on previous participants. “The show is really strong, we learned a lot as you do every first season. We know that our audience like products more than they do services that they can touch and feel, rather than ideas,” she says. “The Sharks were excellent last year but they are even better this year because they have a series under their belt. It will kind of be a slightly-tighter version of what you saw last year with Glen Richards. Hit series Gogglebox will return, with some possible casting changes. Working Dog’s Have You Been Paying Attention is a show that TEN stuck with and now has a loyal following. “It took a while to find its feet and let the audience find it, but they do a great job and they know what they’re doing,” says McGarvey. Turning to TEN’s Drama slate, much-loved Offspring begins filming around March / April after a two year absence. Despite the risk in resuming a series which many had regarded as concluded, McGarvey says early scripts will please fans -but there are no new tips on returning cast. “There’s only 65 episodes of Offspring and in the greater world of Drama that is not a lot of episodes. So we definitely think there is life in it. “When you read episode one you think ‘Fantastic, Offspring is back!’ It picks up where you left off perfectly. So we’re really happy with the creative on it,” she insists. Miniseries Brock starring Matt Le Nevez will air later in the year. Playmaker Media are also behind new drama series The Wrong Girl in which Jessica Marais plays TV producer Lily who falls in love with Jack, her show’s gorgeous new chef. Meanwhile Neighbours rolls on via ELEVEN. Are there any plans to shift the show to a PG classification now that new TV regulations means it no longer has to be G at 6:30pm? “I don’t think so. It’s something that we talk about all the time. We think it’s a G show for families and people enjoy it,” says McGarvey. With Brock as a miniseries are there any plans for a new ongoing Drama on TEN? The network is always in development, but nothing to announce as yet. Breakout series The Bachelor and The Bachelorette are both at casting stage and could again look at former participants for their title roles. “That’s absolutely a possibility and the US use that technique. We will go with the best person for the role, so if it’s an incumbent or a new person… it could be either,” she continues. They return from August / September along with The Great Australian Spelling Bee. “We want kids that can spell but also kids that are confident and enjoy the experience, wanting to be on the show,” she notes. “I would like it to be earlier but obviously it can’t be. If we played it on a Sunday it would be up against The Voice which wouldn’t have been great. What about The Biggest Loser / TBL Families? “We haven’t decided yet,” McGarvey admits. There is also the option, Offspring-style, of resting the show this year before resuming it. Studio 10 and TEN Eyewitness News continue across the year, along with Family Feud. The game show has undoubtedly improved the network’s stages at 6pm ‘triple-cast’ across three channels. So does a simulcast of one offering result in a lower network share of three offerings? “Possibly in terms of network, possibly. But obviously maximising the audience on TEN into the primetime schedule at that time of the night is critical,” she explains. “We have no plans to change anything with Family Feud. We look at that stuff all of the time. But at this point we have no immediate plans to do anything with the triple-cast at 6. It works for us. That may not be true in 6 months or a year but we will always look at it as we do all of our timeslots. 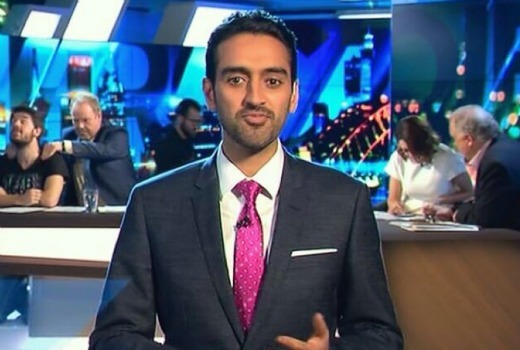 Also underpinning its weeknights across the year is The Project, with Waleed Aly proving a big success since joining Peter Helliar and Carrie Bickmore. “Given that we’ve had a few cast changes, Pete, Waleed and Carrie really gelled last year as a team. So consolidating the growth we had last year is the intention,” she notes. Lastly, one of TEN’s biggest buzzes for 2016 is Australian Survivor, due later this year. TEN has been inundated with applications, already topping 15,000, with plenty of guesses underway on the location and host. “We’ll be making an announcement about host and location in the next couple of months,” McGarvey promises. “There’s a limited number of locations you can film, because there are things that we need. It needs to look remote but have relative access to infrastructure so we’re just making final decisions on that now. Wherever we go we want that tropical island, pure Survivor look and that’s what we’re looking for. “Our aspiration is to have the production quality of the US series with an Australian tone. I really hope TEN brings back The Biggest Loser in 2016. News that went under the radar is they have gone back to The Late Show on Ten and The Late Late Show earlier on Eleven. Thought of it being a good strategy to match CBS scheduling must have been not as good perhaps. I find Beverley McGarvey’s statement that Ten Eyewitness News will continue over the year, interesting. The comment makes it sound like news is something the network sees as important, when in fact TEN is the only FTA regularly not broadcast the news on the weekend, while broadcasting a sporting event. Other FTA networks will either reduce the time, or move the sport/news to a 2nd channel, but not TEN. They often don’t show the news. To me, that’s not being committed to broadcasting the news. It’s not a quote, it’s copy from yours truly. We did not discuss News specifically. “…Australia Day eve and everybody is drunk,” Wow. So she has a high opinion of her fellow Australians then? I thought that was a pretty stupid thing of her to say. Ah well, guess that’s the end of Puberty Blues then. It’s been too long between drinks now. A shame …so loved that show. Such a shame. Loved it. Another interesting and insightful piece. LOL’ing at 4 couples still together from the bachelor, its a bit of a stretch considering Blake dumped Sam to hook up with one of the losers… But hey if they want to sell it as 4 couples still together well good for them! I predict that Masterchef ratings will go down this year. Of course. Don’t you predict that every year? Every year, I do predictions of TV ratings. Actually, I am refering to the GF and Winner Announced part. Re: The Graham Norton Show. Select a spot in your schedule. Leave it there. Show the episodes in the same broadcast order as the UK. Re: Punctuality. Programs should commence broadcast at the advertised starting time. They should conclude at the advertised finishing time. Re-scheduling a program to a later start time, and then starting two minutes earlier is not permitted. Yes, I’m talking about the X-Files. Readers have always named TEN as more punctual than Seven and Nine in previous discussions / surveys / late list. And, very specifically, the X-Files started earlier than the advertised late time on both Sunday and Monday this week. Neighbours has been in a PG slot since it moved to ELEVEN? Neighbours is classified G. After recent changes in regulation it can ‘upgrade’ to PG but it won’t be. David, the multi-channels have been able to air PG in this slot since 2010.
link below to your own story at the time. Ah yes, thanks for the reminder. They are mostly likely maintaining its G rating for international markets. It’s not worth shifting things around too much for its negligible Australian audience (they also pander a lot to their U.K. fan base, much more so than their Australian audience). If it were up to the Australian viewing public, Neighbours would have gotten the axe a long time ago. I love how hard Ten tried to argue that they “just couldn’t” fast-track The X Files, that it just wasn’t possible to do day and date, that it would’ve just wouldnt have worked for the show, yada yada yada… when what they were clearly saying was that the ratings just wouldn’t have been there. Why can’t they just say what they mean? It’s not like we don’t already know that’s their approach. Well if it was fast tracked to Oz day eve and did average in the ratings I can just imagine all the fans saying Ten botched the relaunch. All her points are reasonable. Where’s the outrage over 7’s lack of fast tracking? Of that what’s she meant, everybody knows that, it is just assumed. I’m not sure what you’re getting at here. Altho’ McGarvey didn’t actually use the word “ratings”, I think it’s pretty clear that she is saying that people wouldn’t watch on Mon because they’d be partying, Tue was a pub hol, and other nights the show would be up against major sport. I am a strong proponent of fast-tracking but I think Ten made the right call this time. Ten has a really good line up. My only criticism is that they are relying a little too much on reality but even then the reality formats are a different and new, as opposed to 7 & 9 who are relying on the same mix of Cooking, Singing and Reno reality programing. Survivor will be the left field hit for Ten in 2016.